My photographs taken in the Weddell Sea and on the Continental ice of Antarctica from Atka Bay to Halley Station focus on the colors and life of this white on white environment. I often use landscape as the inspiration for my paintings and, in the photographs, one cannot avoid being aware of the physical place in which the wildlife makes its home and raises its young. These photographs are intended to be a series by themselves. I like the fact that they convey an entirely different sense of the spirit, wind and cold of Antarctica than I express in my paintings. I also like myself as a camera-person, who had to exercise patience and direct involvement in taking the pictures. 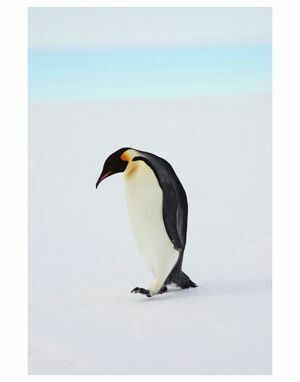 It is a chore to tote the gear over miles of ice and set-up to take a family portrait of Emperor penguins in a place almost never visited by people. Except for the sounds of the rookeries and the wind, there is a complete absence of industrial sound. Photographs lack sound or any suggestion of it. It is as if each scene has been encapsulated and frozen in crystal pure ice. The entire Etichette Series uses many of the same elements of labels from well-known makers of gorgonzola, bel paese, mozzarella and other kinds of Italian cheeses. 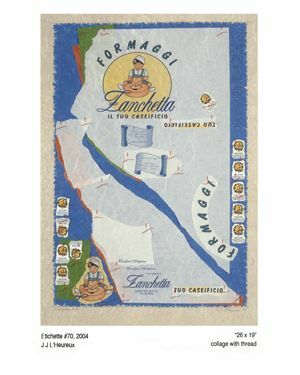 Though these labels are sometimes saved as souvenirs and often collected, the idea was to re-contextualize the elements as motifs in colorful, almost Pop Art collages, which attempt to only capture the essence of their world. J.J. L’Heureux was born and raised in Grosse Ponte, MI, a suburb of Detroit. Throughout high school, she was musically inclined but showed no particular interest in painting, sculpture or photography. This changed when she was in her early 20’s in Boston and was afflicted with rheumatoid arthritis that completely incapacitated her. Friends brought her art books covering their favorite movements. Seeking a cure, L’Heureux moved to New York City and rented the house of a famous artist while being cared for by an arthritis specialist. The artist not only had an extensive library but also lent her his museum membership cards. Because she was physically restricted in what she could do, she began going to the Museum of Modern Art nearly every day. L’Heureux later moved to San Francisco and entered the San Francisco Art Institute. She worked part-time jobs to pursue her dreams. As her art developed, exhibitions started to come her way and these successes led to opportunities for her to follow another central interest: animals in their environments. She took the course that led to becoming a docent for the San Francisco Zoo. Then L’Heureux traveled to Africa, South America, the Galapagos Islands and North America in order to study the animals in their natural habitats. Eventually, this passion brought her to Tierra del Fuego and then across the Southern Ocean into the Antarctica wilderness. 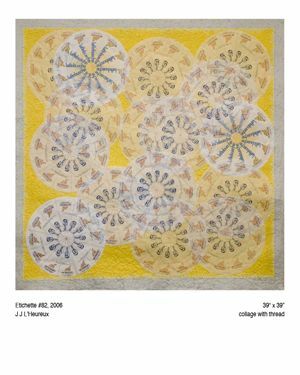 During these travels and observations, she continued to paint and became an accomplished, well-known abstract painter and collage artist. 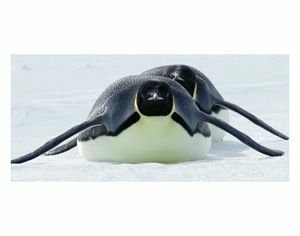 The photographs on her website come from six different expeditions to Antarctica spanning five years. One of those trips was historic as far as its extensive length and journeys to unvisited parts of the Weddell Sea. She has now been to the continent 11 times, with some previous journeys as an expedition artist with Quark Expeditions.